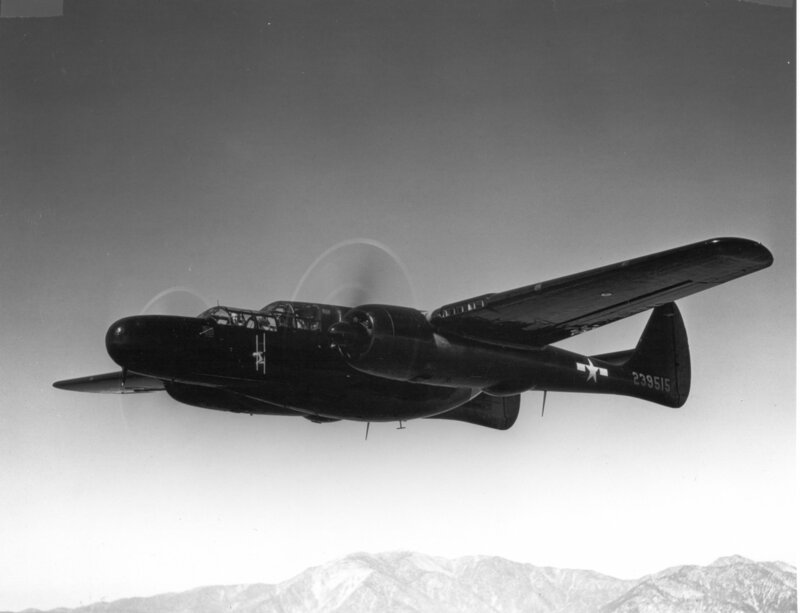 The P-61: The Northrup designed P-61 Black Widow, was the first operational US aircraft developed specifically for night interception of opposing aircraft and and was the first aircraft specifically designed to use improved RADAR equipment. 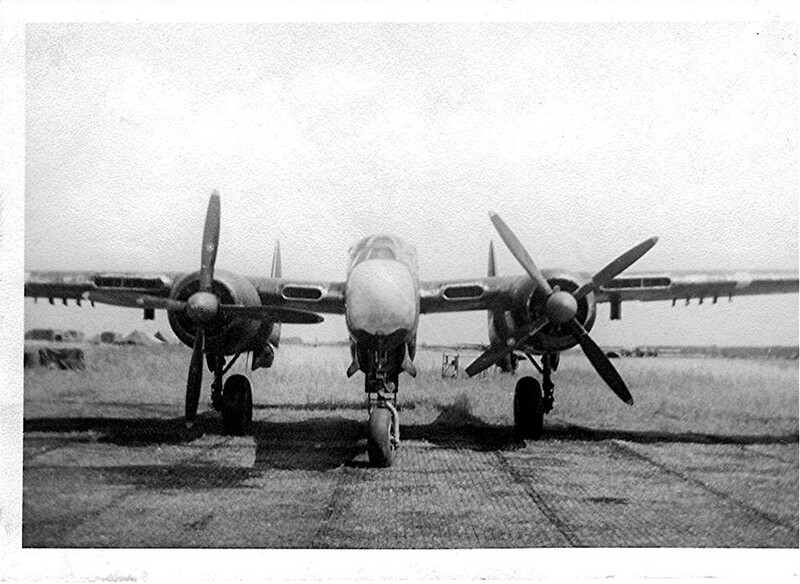 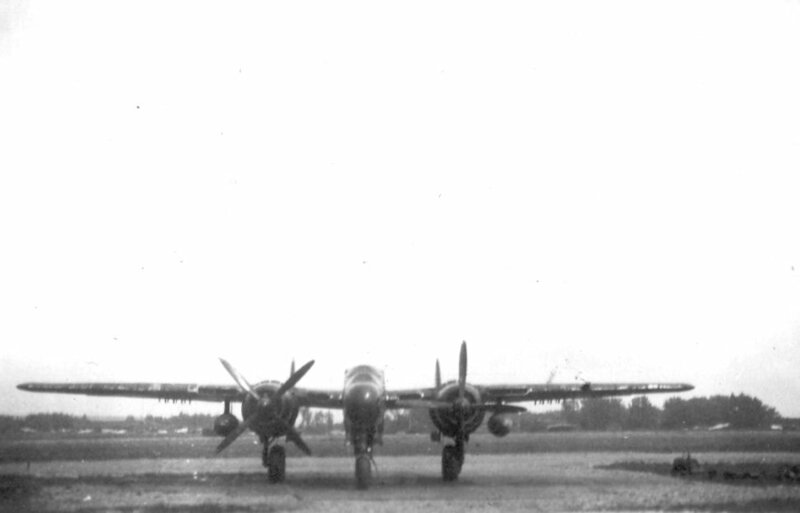 The 414th, 415th, 416th and 417th were eventually given US P-61’s to end the Beaufighter “Lend Lease” agreement with Great Britain. 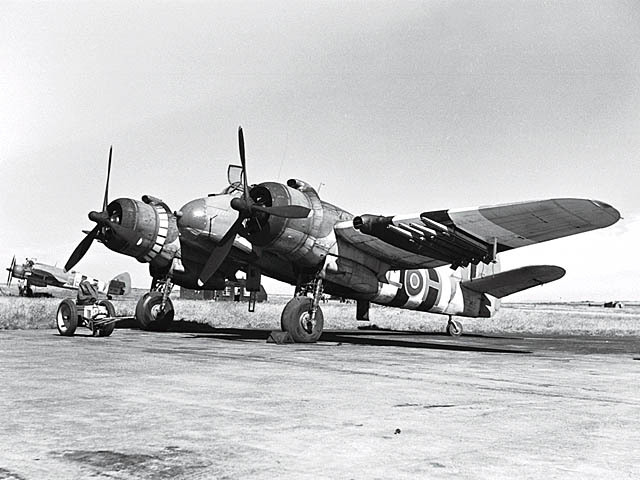 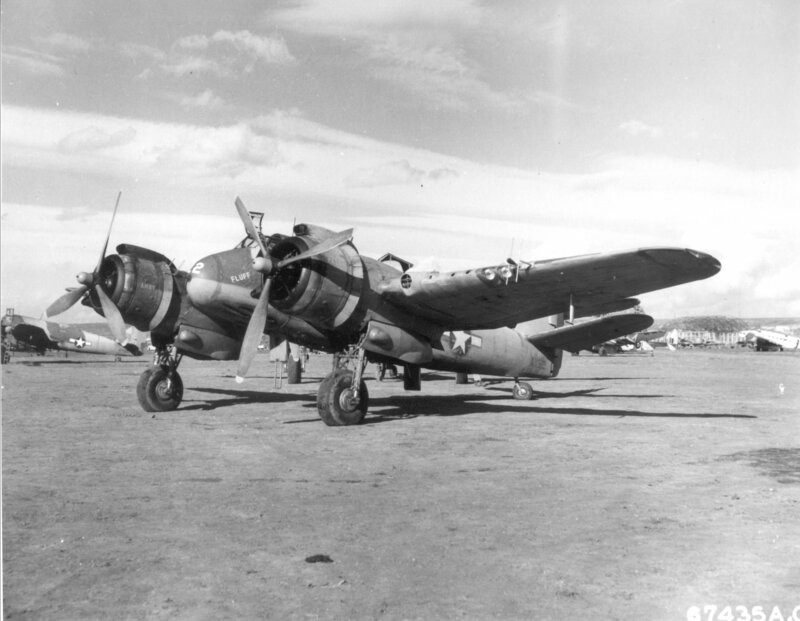 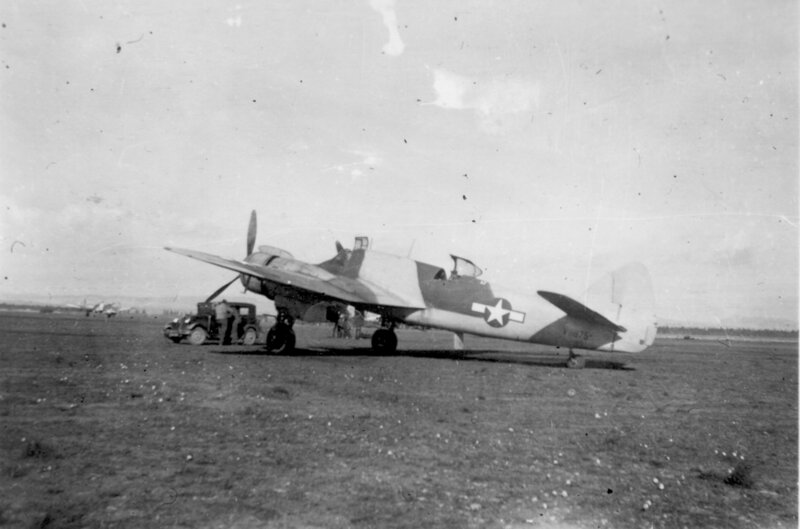 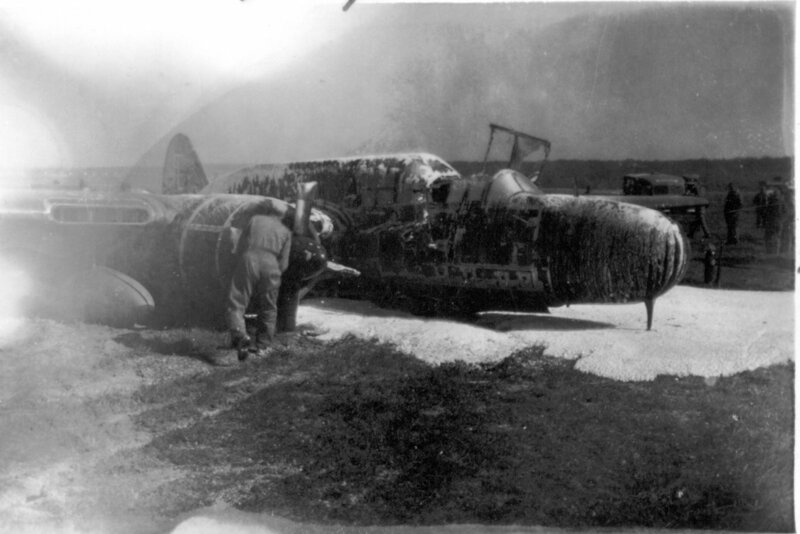 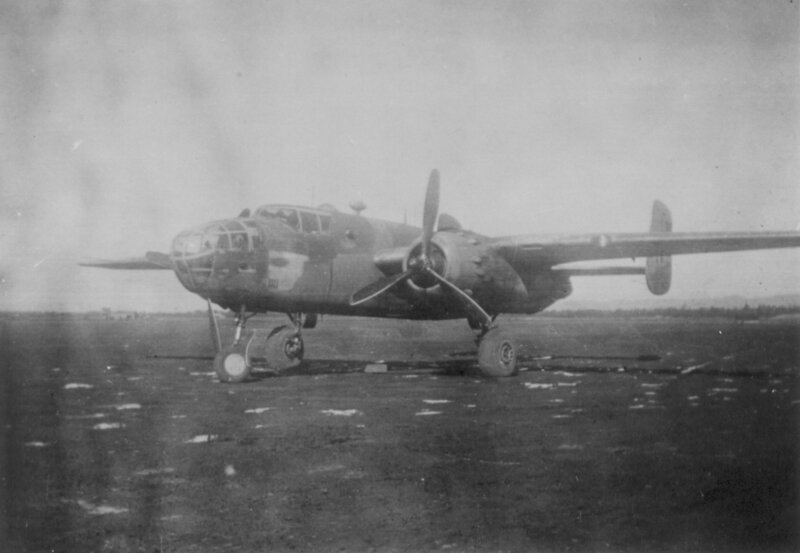 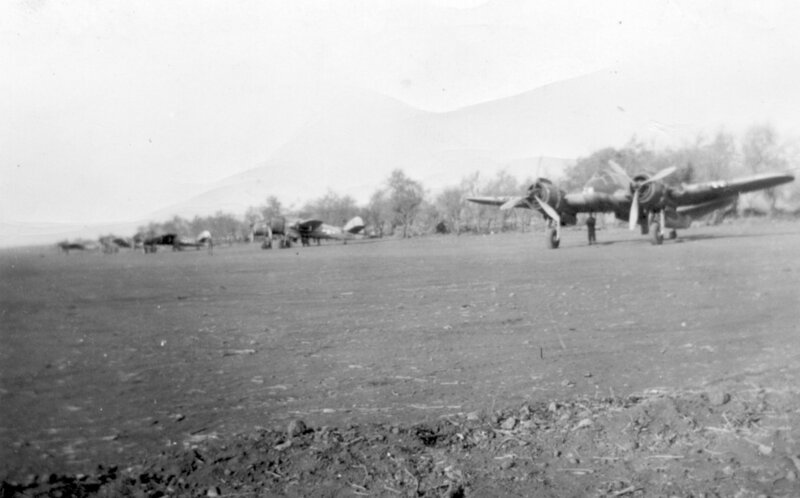 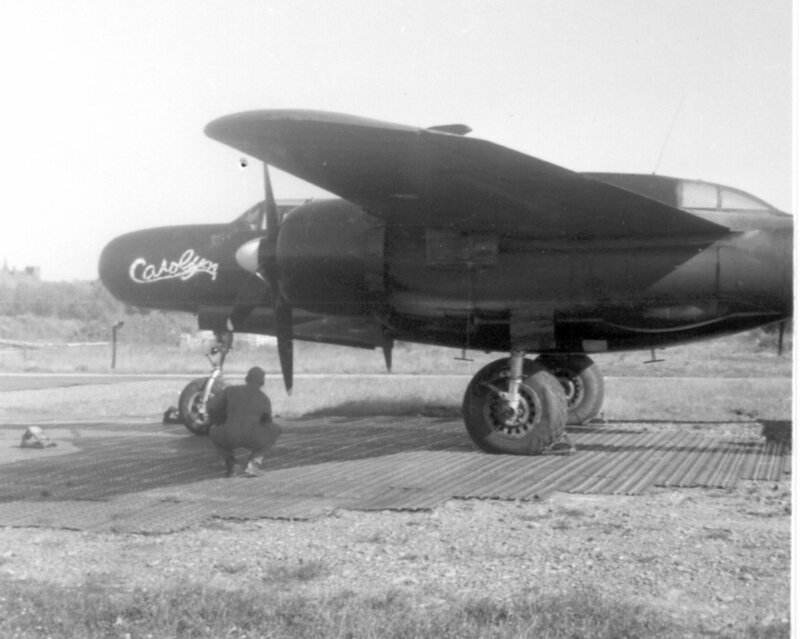 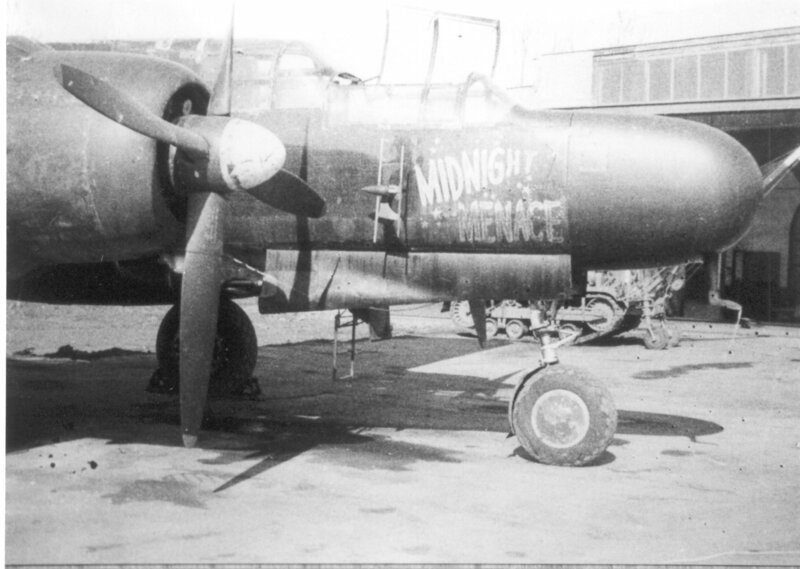 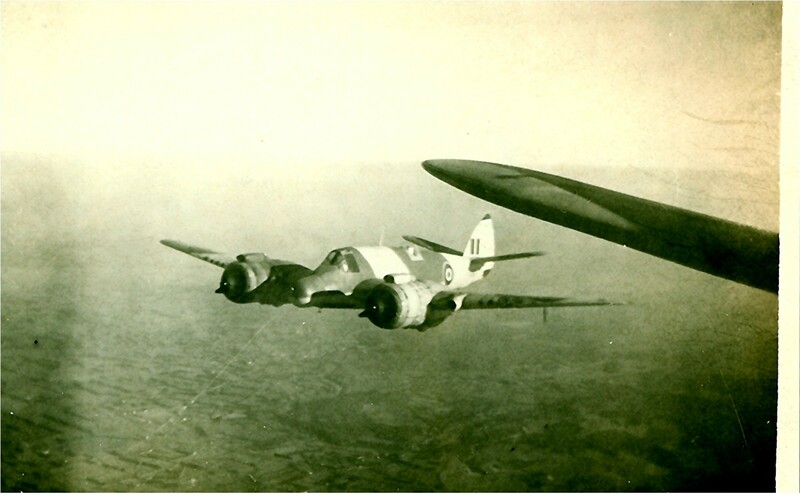 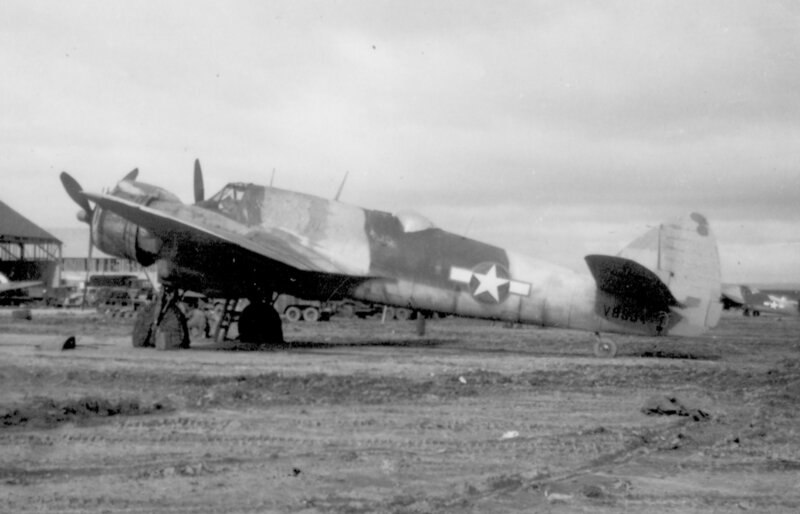 The 417th NFS was assigned to be the Night Fighter Squadron for the Army of Occupation in Europe. 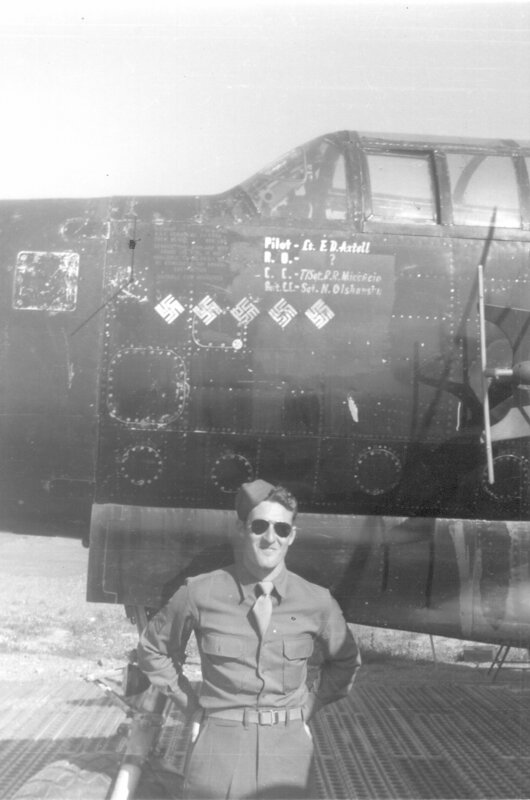 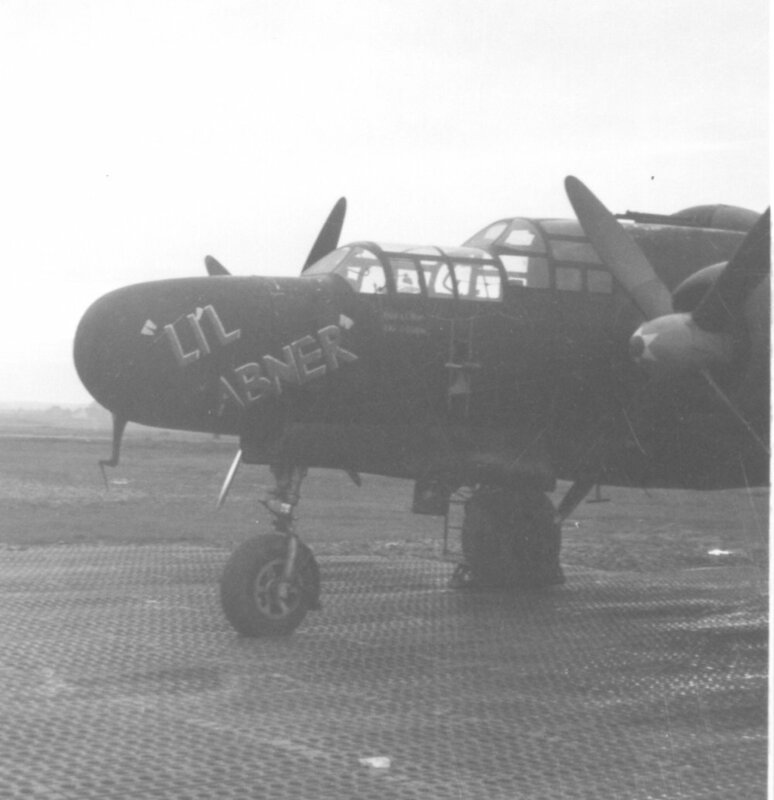 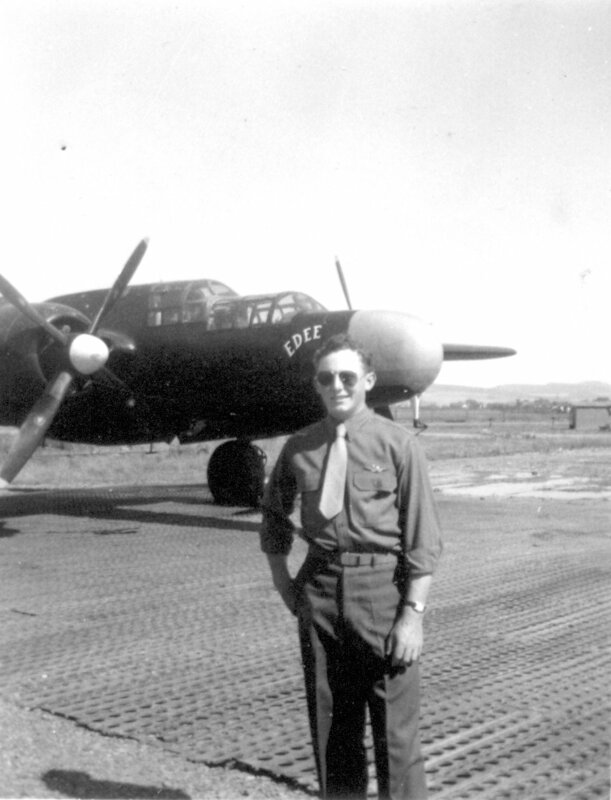 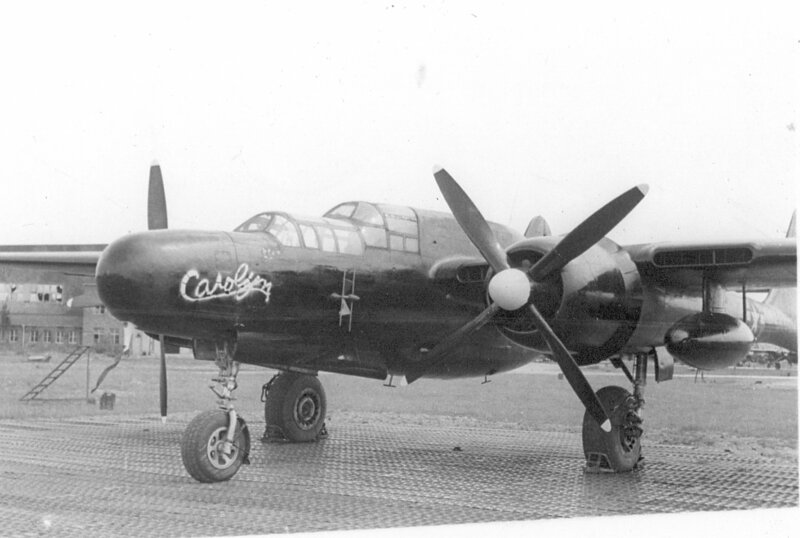 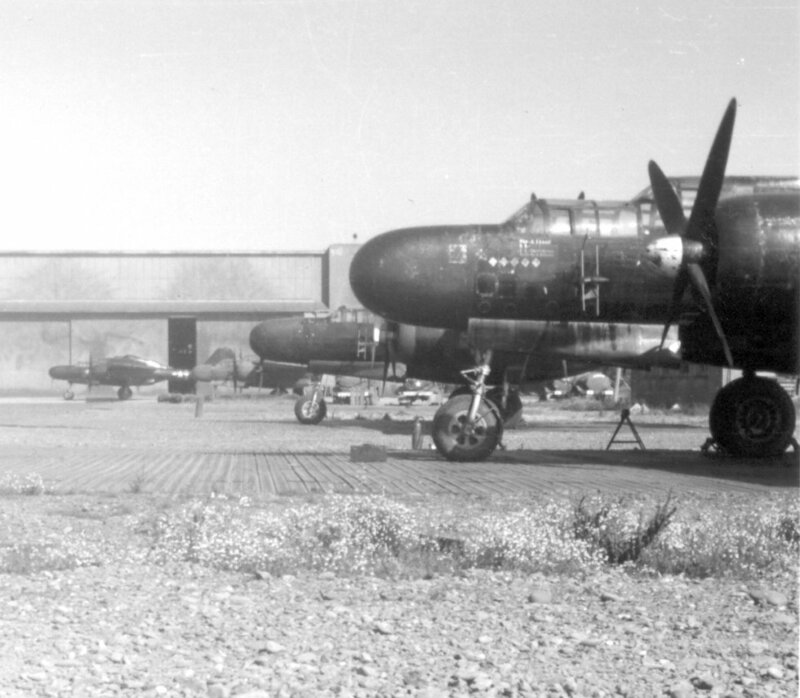 All the P-61’s in Europe then became a part of the 417th NFS. 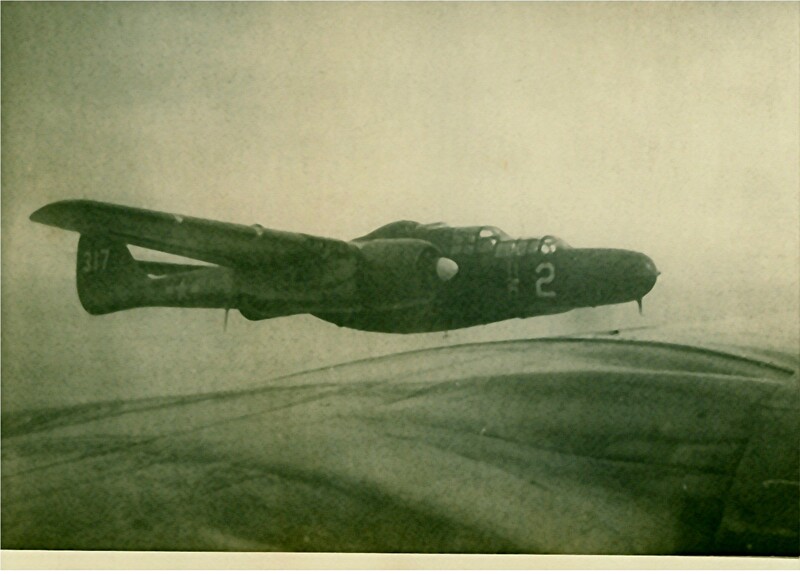 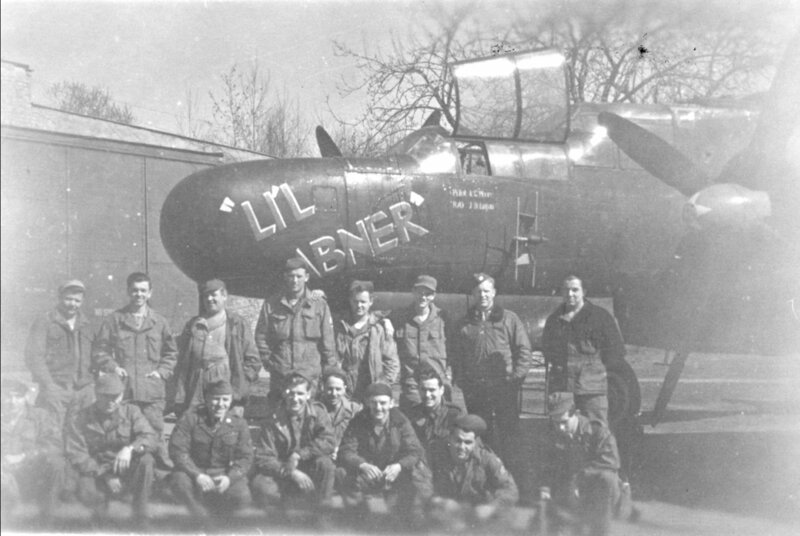 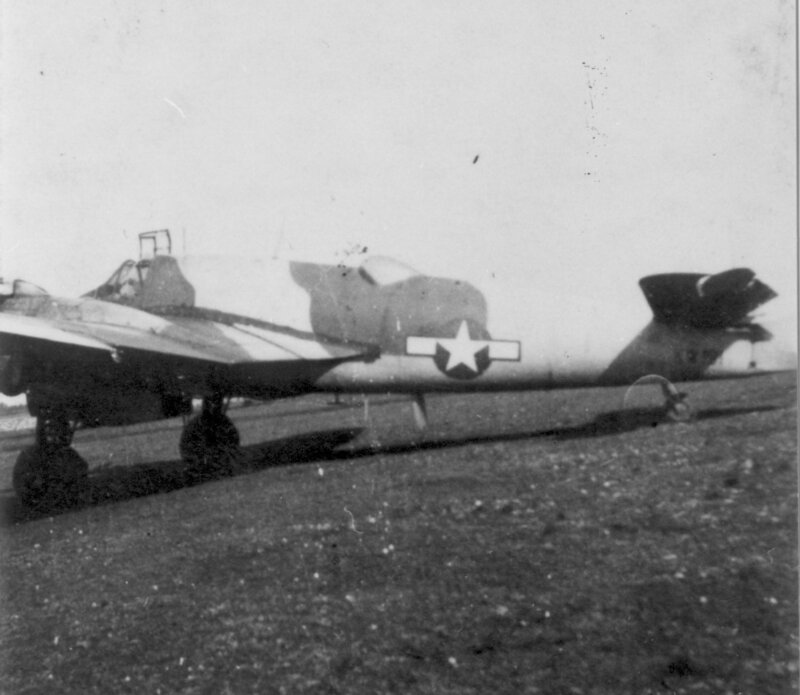 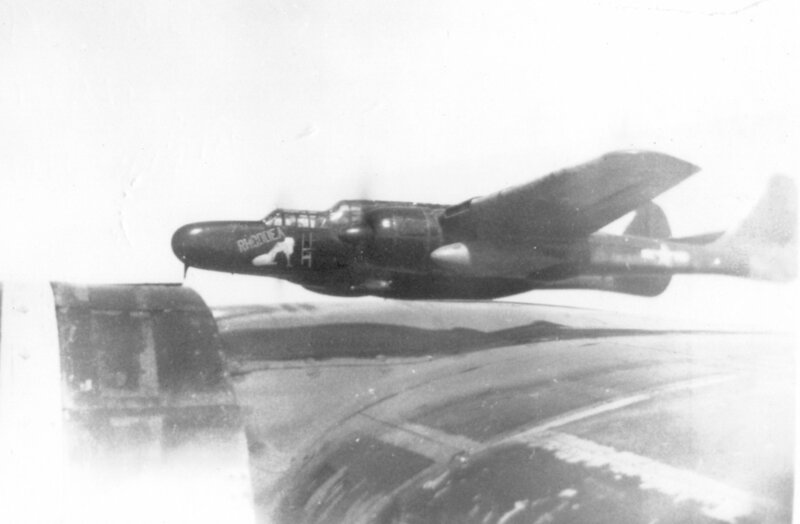 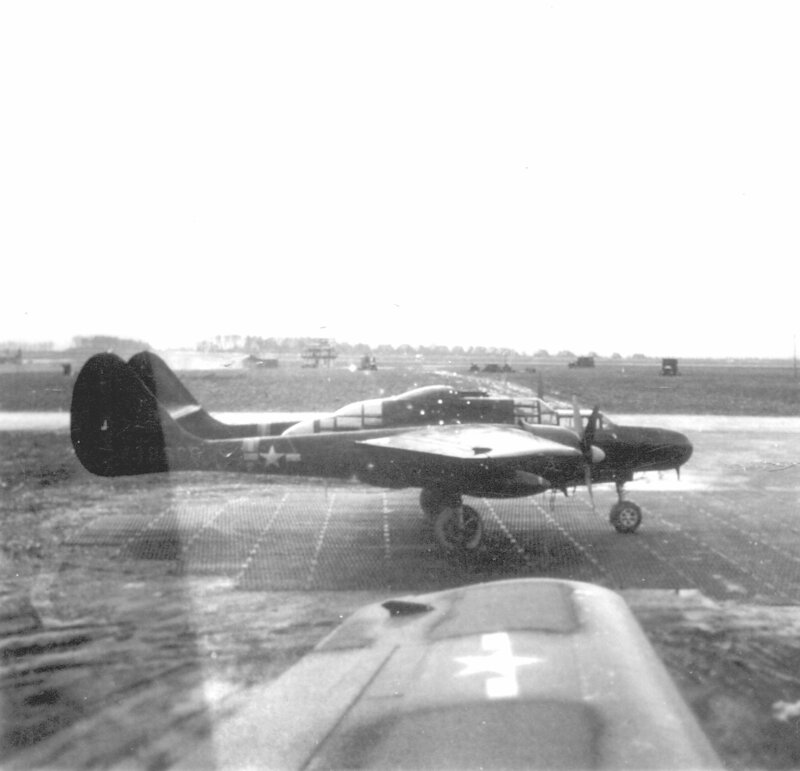 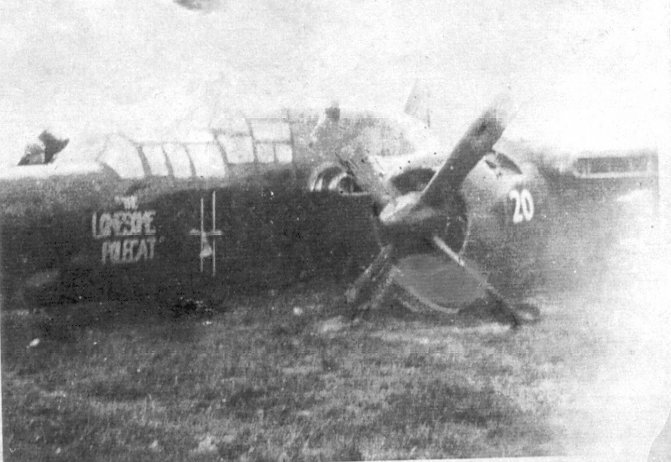 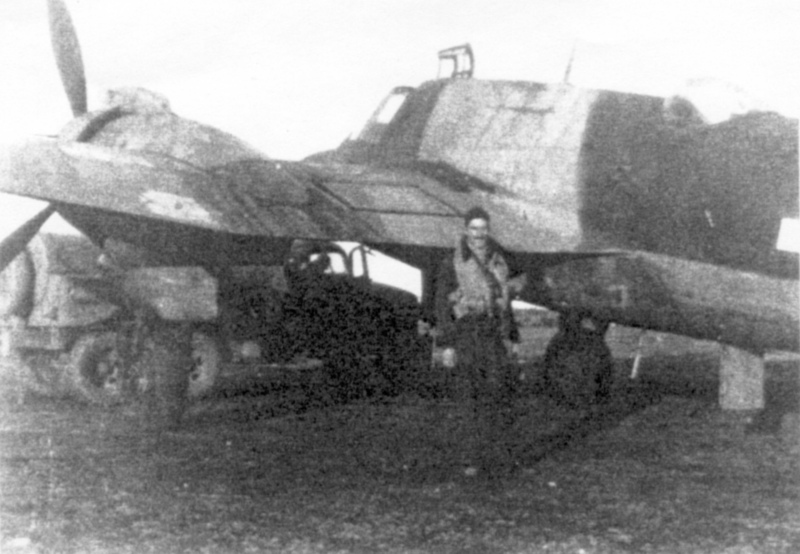 The 422nd and 425th NFS were the only Night fighter Squadrons in Europe that used only the P-61. 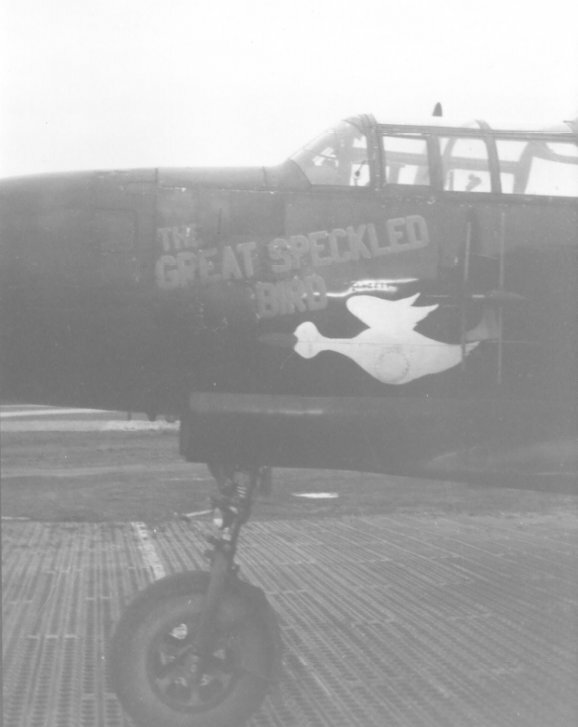 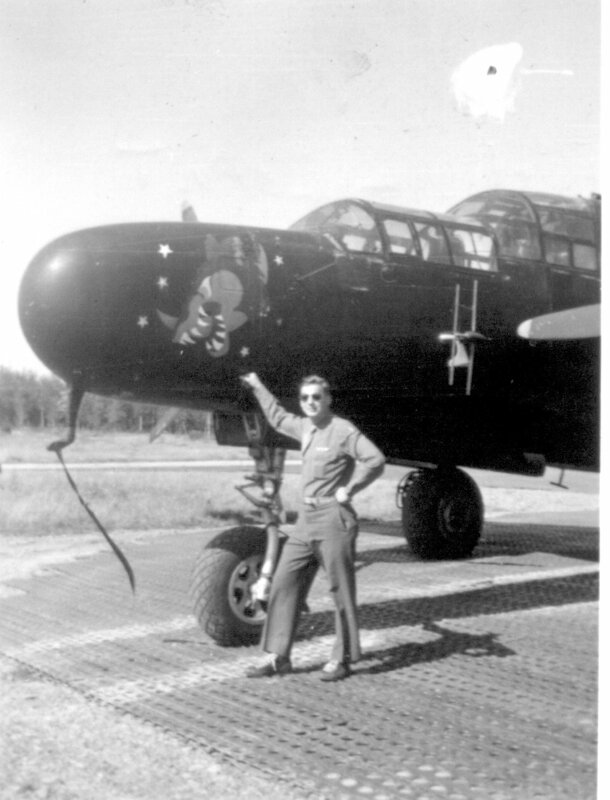 For more information on the P-61 click on this link, or read Jeff Kohn’s book Night Hunter, which provides details on each of the P-61s that were built. 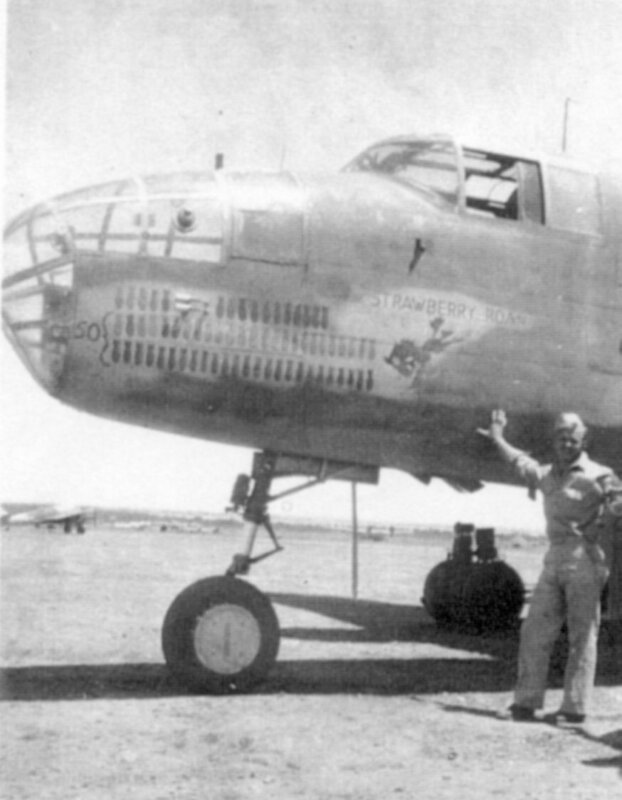 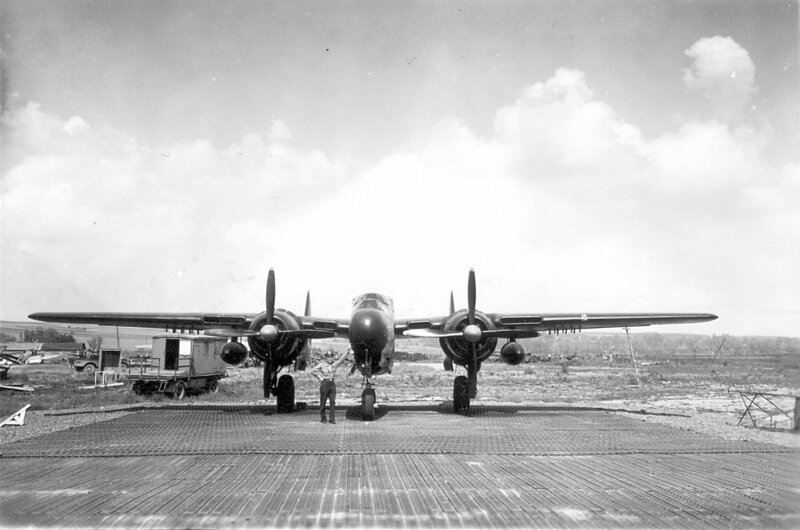 B-25s: These ex-bomber planes were repurposed for hauling supplies. 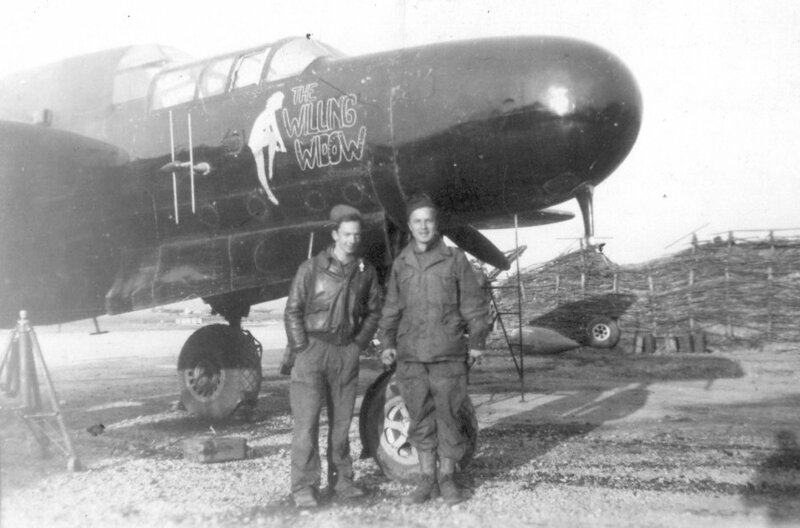 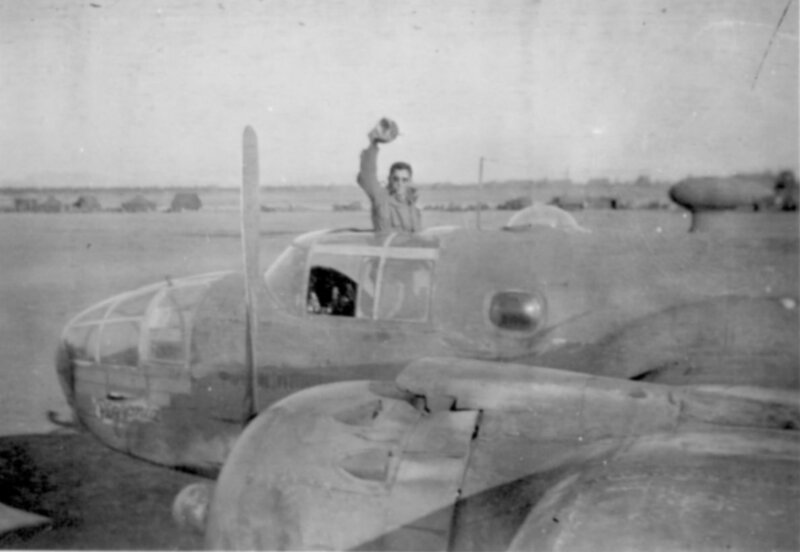 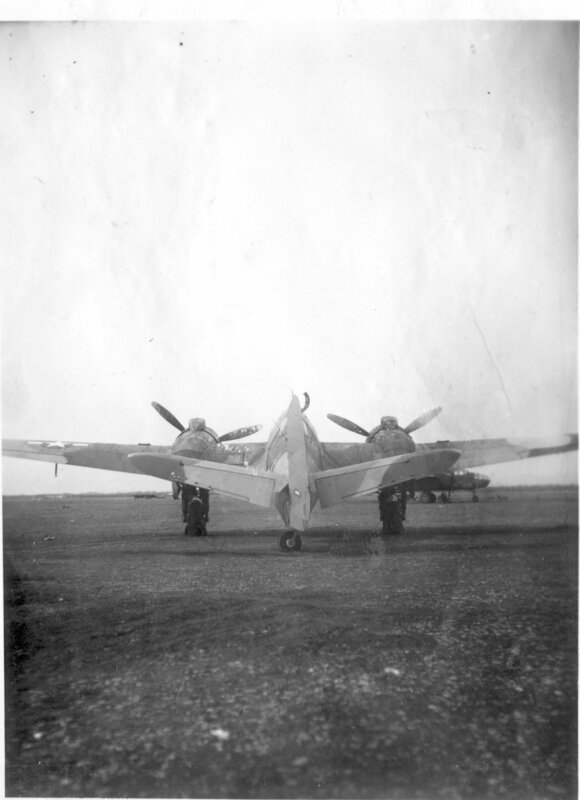 They were stripped of their guns and turned over to the Fighter Squadrons and called “Hacks”. 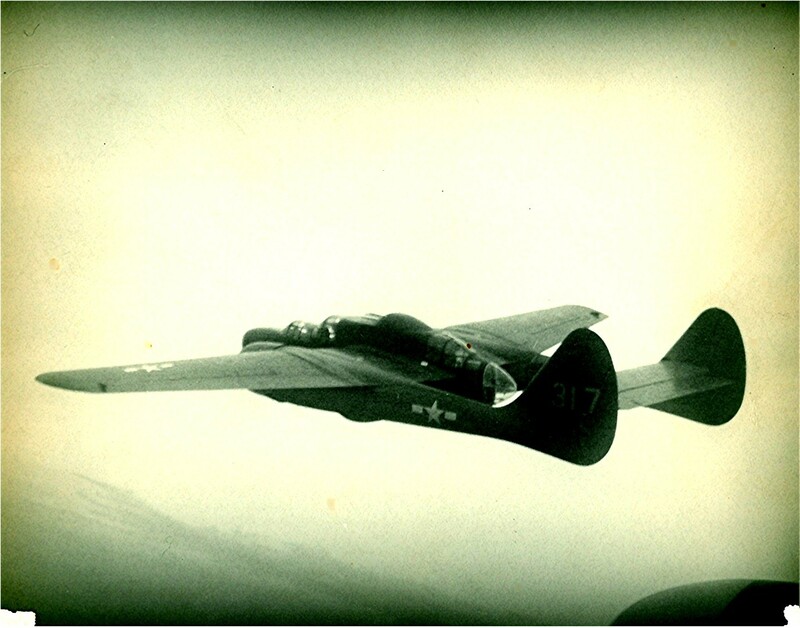 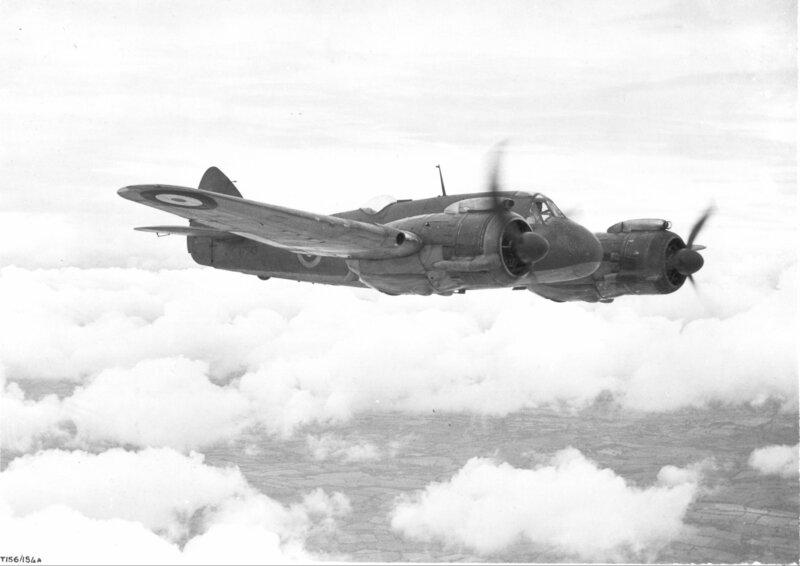 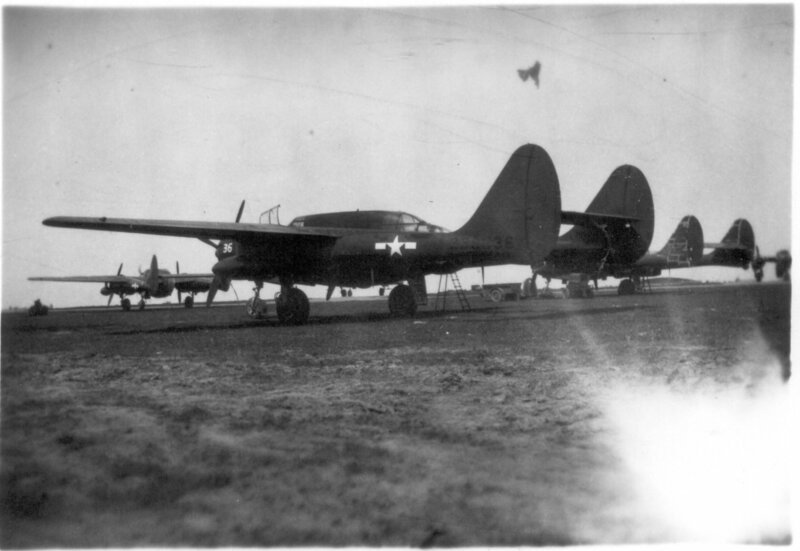 All of the Night Fighter pilots could fly them and use them for group movements and supplies. 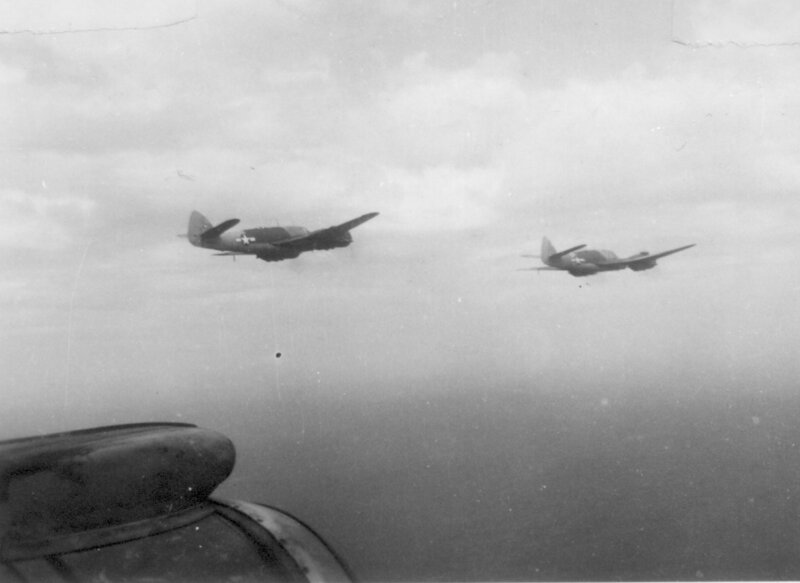 The 3 galleries below contain images of these planes. 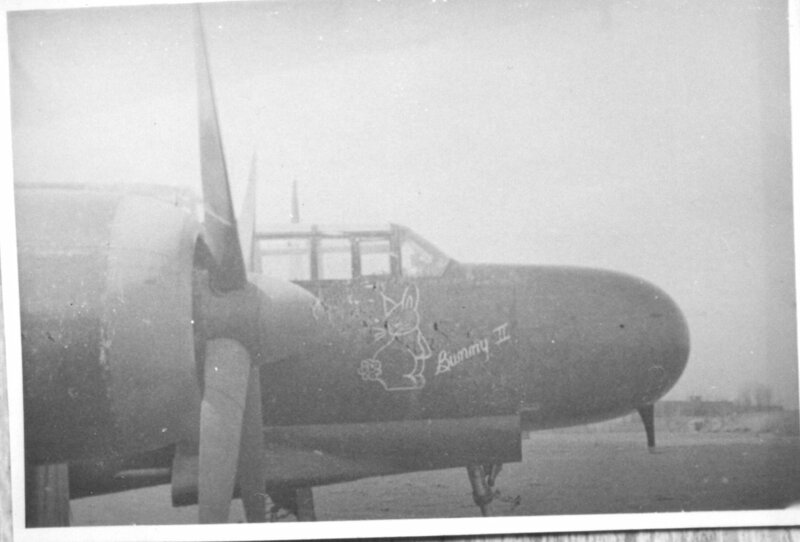 414thNFS Beau on the way to Italy from Corsica. 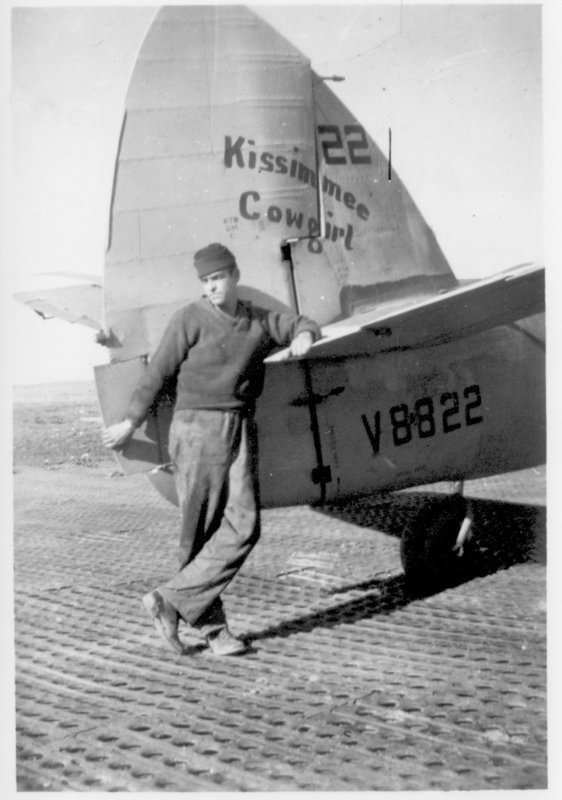 Pilot was Sam Russell. 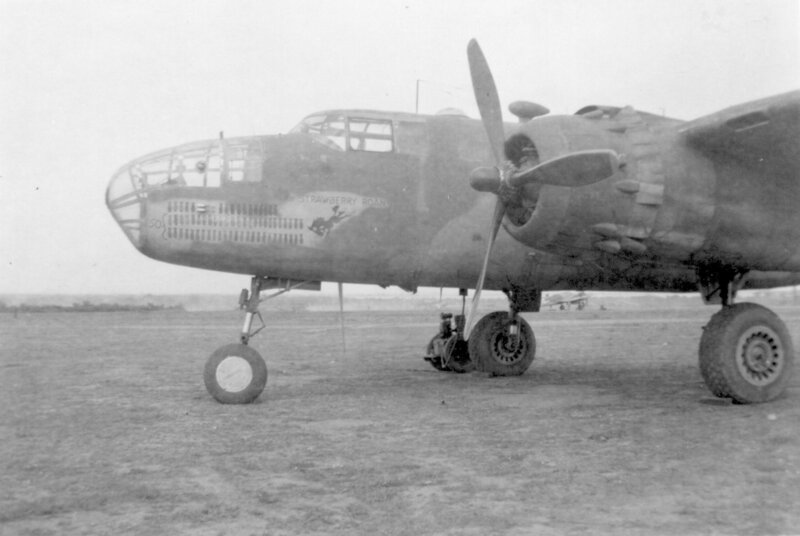 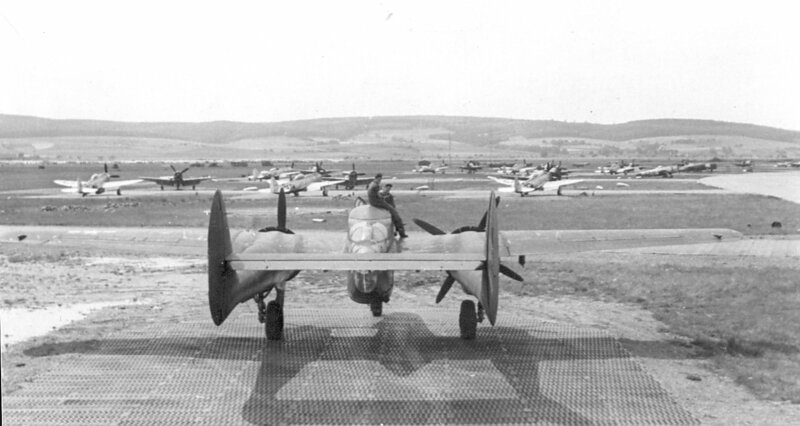 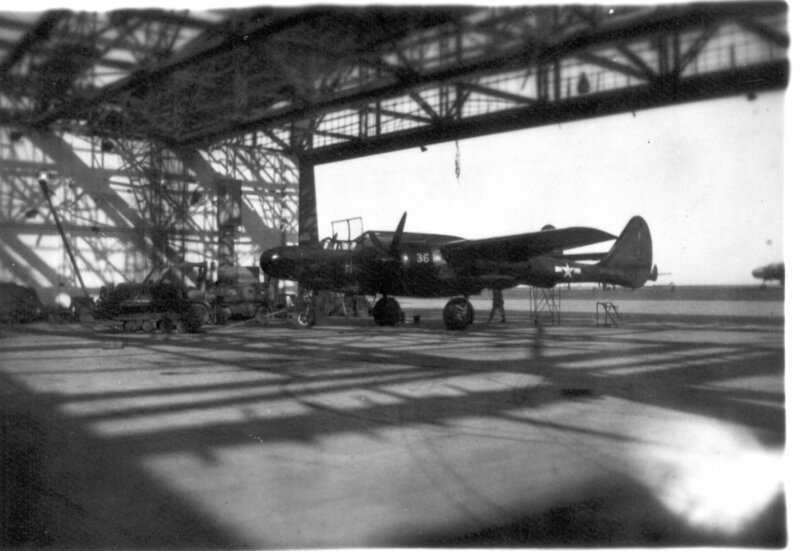 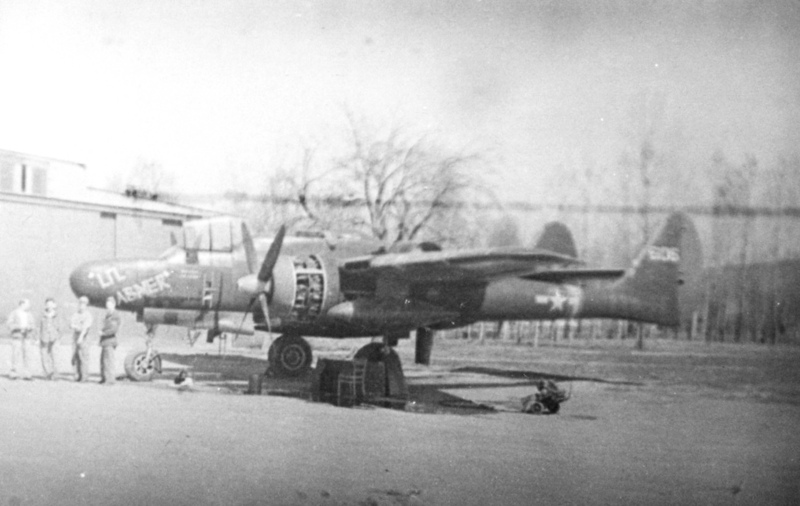 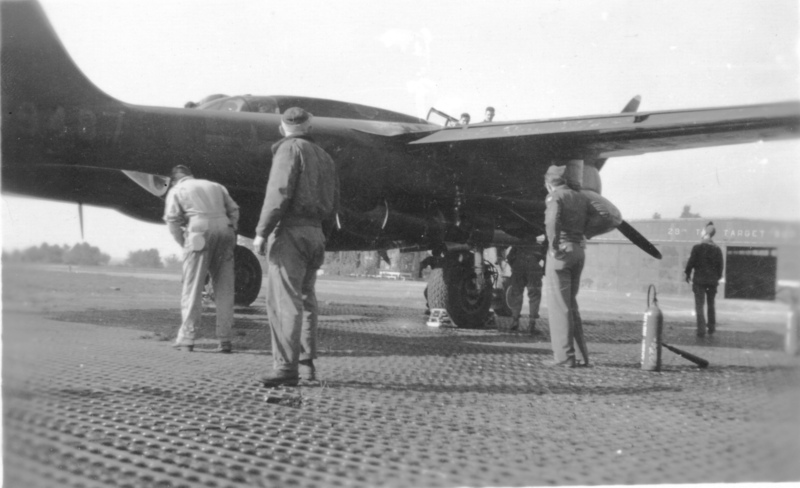 P-61’s at Fritzlar, Air Base in Kassel, Germany 1946 #239826 was one of a few W/Gun Turret. 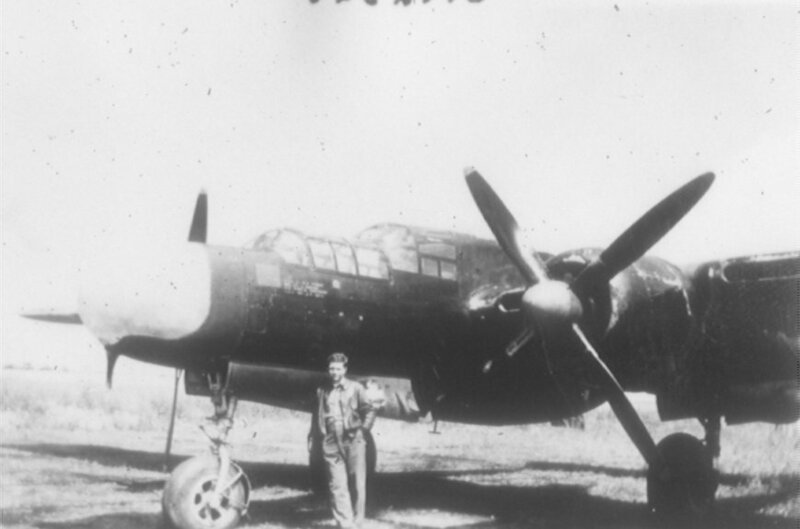 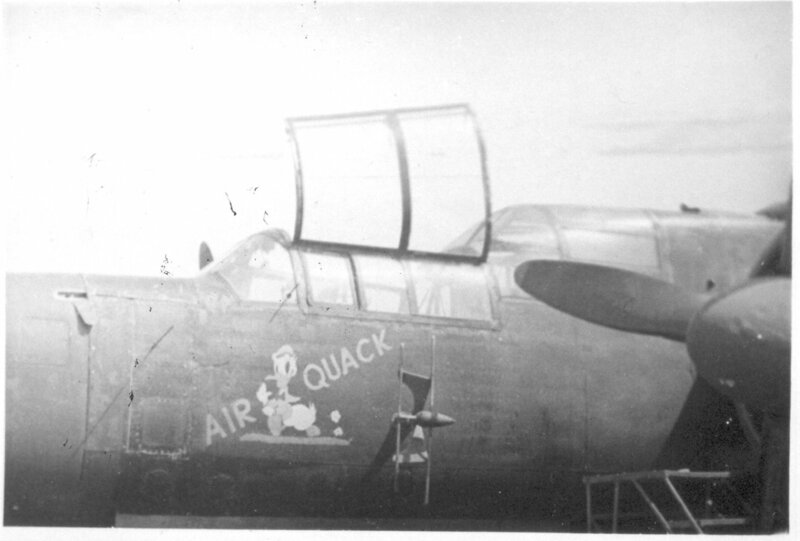 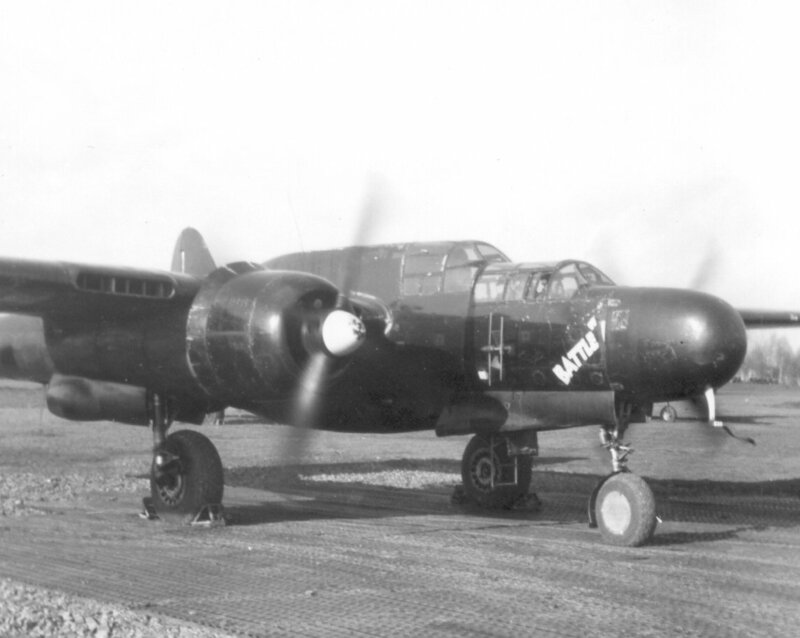 P- 61B #42-39626 417th 3/15/1945 Top Gun Turret made it more difficult to fly. 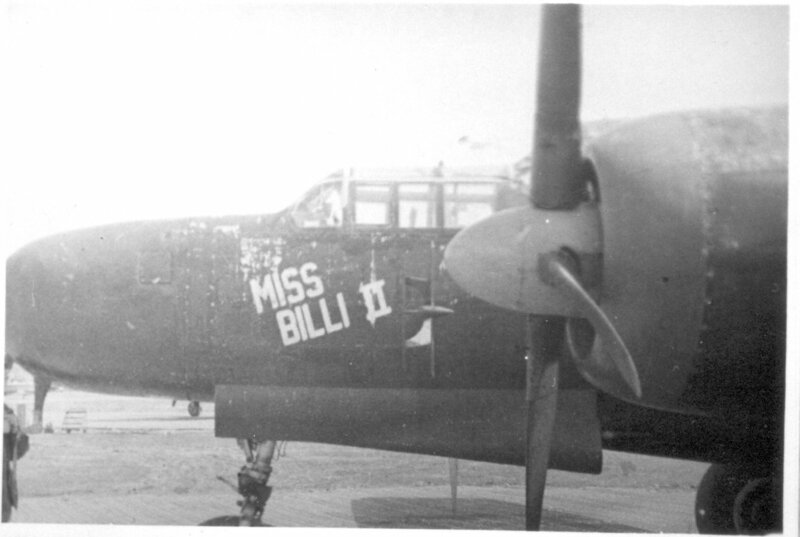 Sam Rial’s plane He named for his future wife ‘Markolita Johnson. 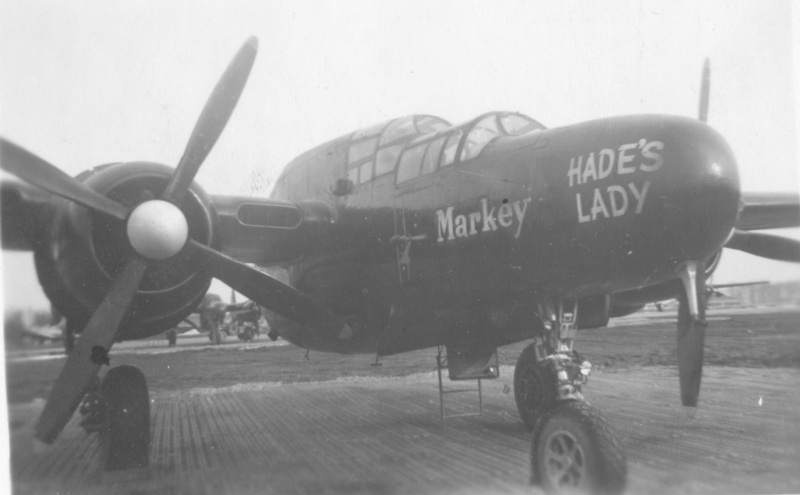 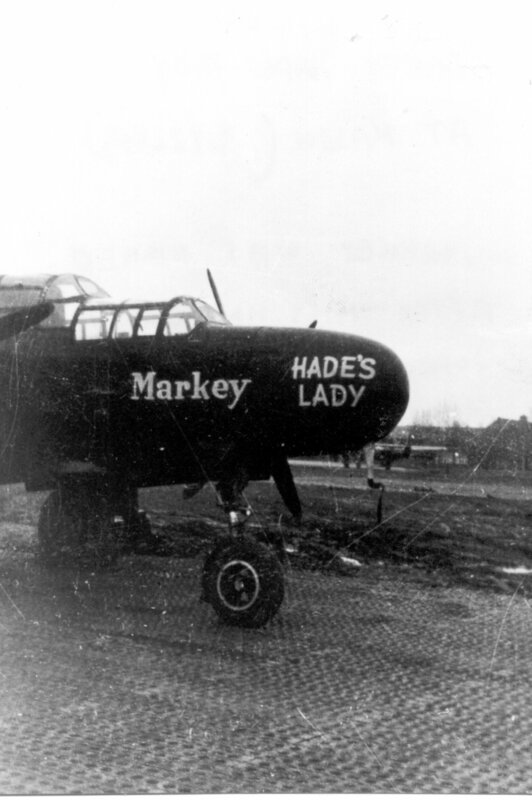 Hade’s Lady is the nose Cone from a contest winning to name a P-61 at Northrop. 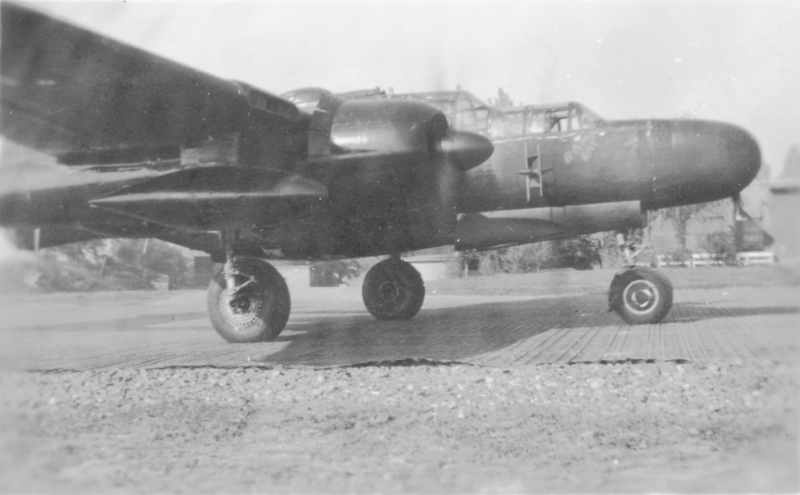 Notice Gun Turret. 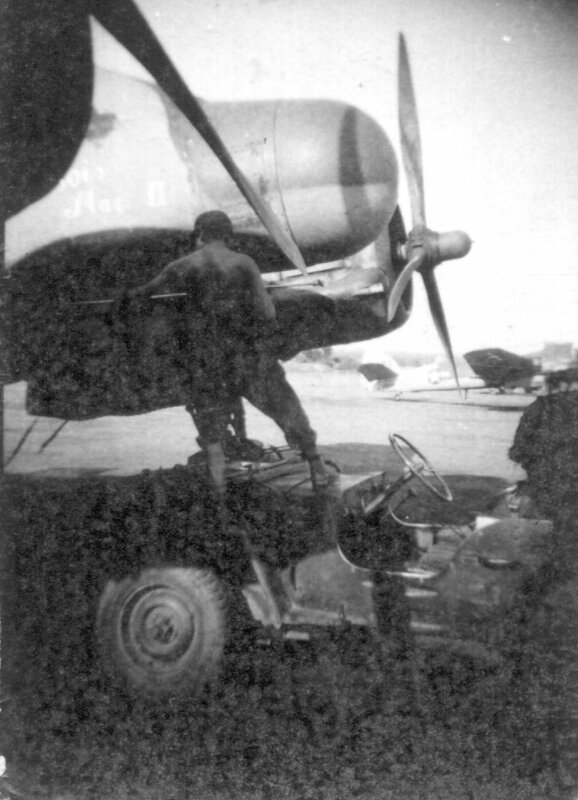 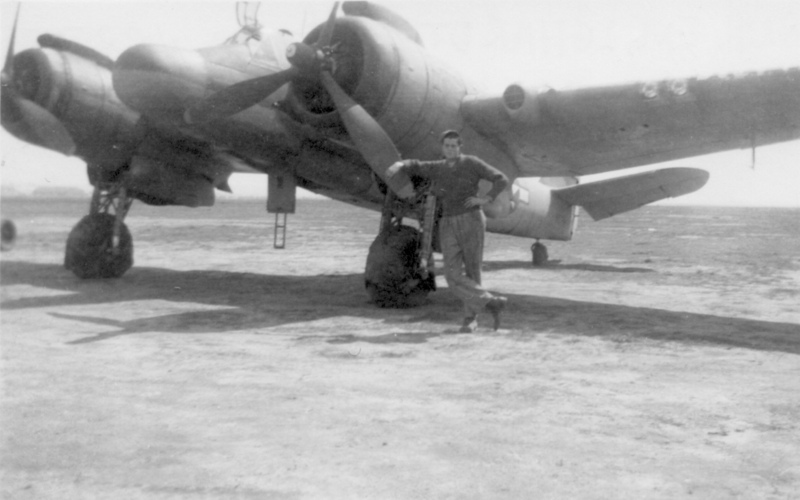 417th Maintenance Crew is Paul Bubash, ? 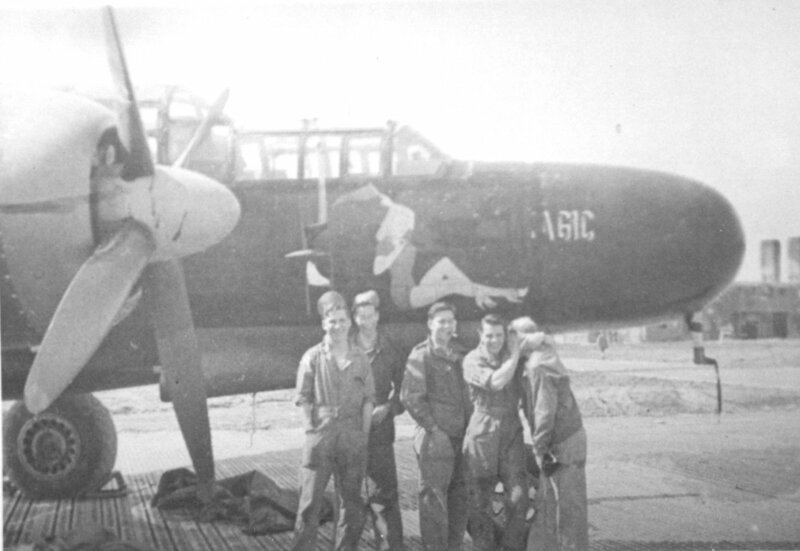 Smith, Pete Fox, Ed Witte, & Mort Shields.